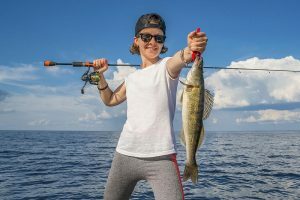 Saginaw Bay Area catch rates were poor over the last week. Much warmer weather moving into the state will soften the ice once again. Anyone going out on the ice will need to use EXTREME CAUTION. Spud your way out and don’t take a quad or snowmobile out. An Argo went through the ice off the Bay City State Park. A fair number of anglers at Palmer Road but catch rates were slow. The water was still murky. Anglers were fishing in three to seven feet from shore ice that was still hanging on. Ice conditions were bad near the mouth of the Pine River. Some were walking out from the Bay City State Park however the ice was not good. The ice near the mouth of the Saginaw River was questionable. Some were walking out from the end of Jones Road and fishing the Hot Ponds but they reported mostly carp in there right now. Fishing off Vanderbilt Park was not good. A few crappies and bluegills were taken in the Quanicassee River and the Sunset Bay Marina. 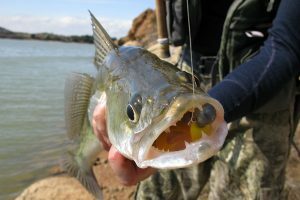 Some perch were taken off Geiger Road but ice conditions were not consistent. 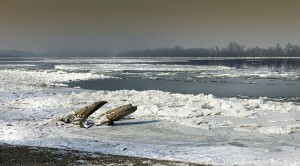 The Sebewaing River and marina froze over again but the ice was not safe. 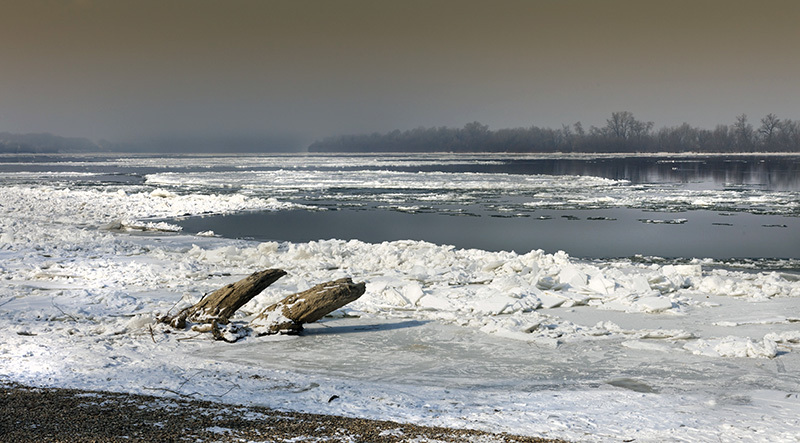 Saginaw River did freeze again however ice safety was questionable. A few anglers were creeping out and fishing close to shore at various locations but again the ice thickness was not consistent. Tittabawassee River was not fish-able due to floating ice. Au Gres River the East Branch near Whitney Drain was full of floating ice and not fish-able. Tawas Area anglers were still fishing up in the “armpit” of Tawas Bay. Catch rates for walleye and perch were slow. Pike spearing was also slow. One angler with an underwater camera saw lake trout and whitefish around the artificial reef. Tawas River froze back over and was not fish-able. For anglers who do get an opportunity to head out on the ice this winter, you may want to think about eliminating jig spin when targeting bluegill. It is difficult for bluegills to eat a jig when it’s spinning at the end of a line. Try these three simple things to help combat this problem. 1. 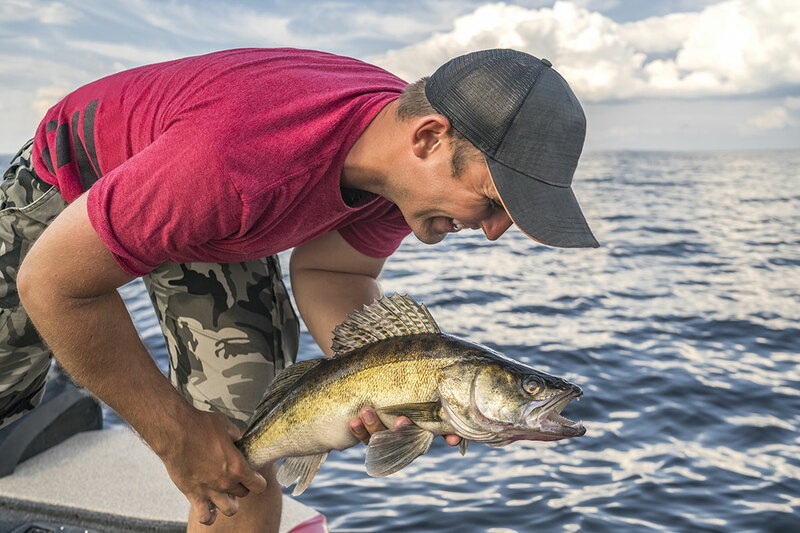 Stretching out the line is one of the easiest things you can do to prevent jig spin. 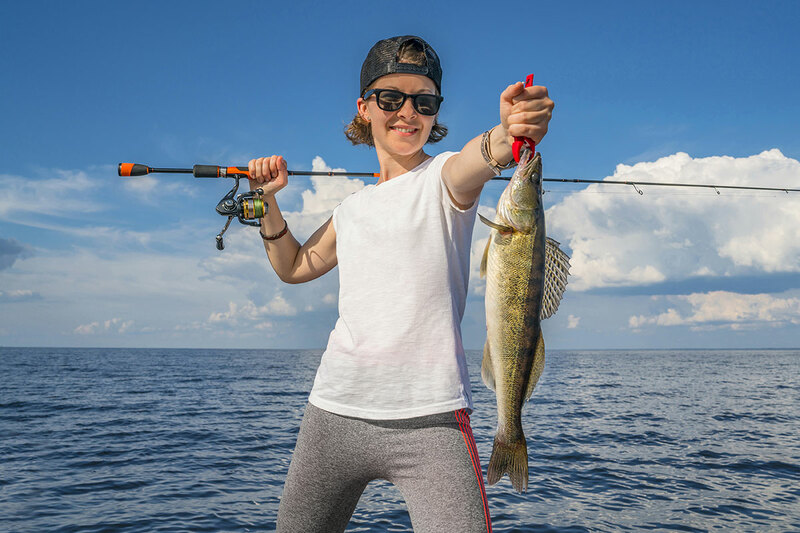 If you are using a spinning reel just get into the habit of stretching out the first couple of feet of line every time you bring the jig up.